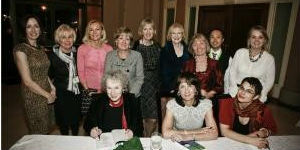 In 2006, Random House of Canada was approached by a special group of women who had been members of a book club in Toronto for a number of years. 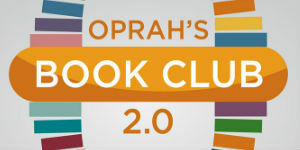 Many of their families had been touched by cancer, and given the important role reading had in their lives and the support they had received from their book club members during cancer treatment, they saw an opportunity to harness the energy of enthusiastic book clubs and readers to raise funds for cancer research. We began discussions, and immediately determined this was an initiative we wanted to be part of. We developed the idea for large-scale events featuring our authors and in Fall 2007, the first READ FOR THE CURE events took place in the Toronto area. Since then, additional events have been added in Ottawa, Calgary and Vancouver. At the events, attendees have the opportunity to enjoy canapés and cocktails, and listen to three of our authors talk about their books. The evenings end with a Q&A held by a media personality who acts as emcee. All attendees receive gift bags, including the latest books from the three participating authors, as well as gifts from event sponsors. Audiences at the events range from 300 to 500 people. All proceeds from the events are donated to the Cancer Research Society, specifically their Environment Cancer Fund and the BC Cancer Foundation. To date, CA$ 1.15 million dollars have been donated through these events. Over the years, participating authors include Jann Arden, Margaret Atwood (right), Linwood Barclay, Joy Fielding, Paula Hawkins, Elizabeth Hay, Ann-Marie MacDonald, Linden MacIntyre, Audrey Niffeneger, Cheryl Strayed, Miriam Toews, and many more. In 2016, CAD 150,000 was raised at events in Ottawa, Vancouver, and at two events in Toronto featuring such authors as Gail Anderson-Dargatz, Paula McLain, Meg Wolitzer and Alissa York. Penguin Random House Canada, for the past decade, has embraced the opportunity to be involved in these events. 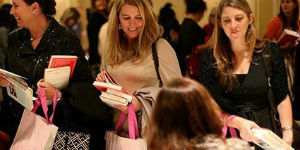 Our authors enjoy the events and welcome the opportunity to speak to these large audiences of engaged book lovers. Plans are already underway for this year’s events which will be held in Vancouver, Ottawa and two events in Toronto in October and November 2017. We have already lined up award-winning and best-selling authors to participate, including: Joseph Boyden, Claire Cameron, Wayne Johnston, Shari Lapena, Ami McKay, Donna Morrissey, Roberta Rich, and 2016 Scotiabank Giller Prize winning author Madeleine Thien. For further information about the READ FOR THE CURE events, please visit www.readforthecure.ca.